I played the first few hours of Persona 3. After loving Persona 4 Golden I was hoping I could take a step back to the previous entry in the series and still get a lot of enjoyment out of it. There's nothing really bad with Persona 3 but there are just so many little things that Persona 4 Golden does well that it's hard to go back to this one. 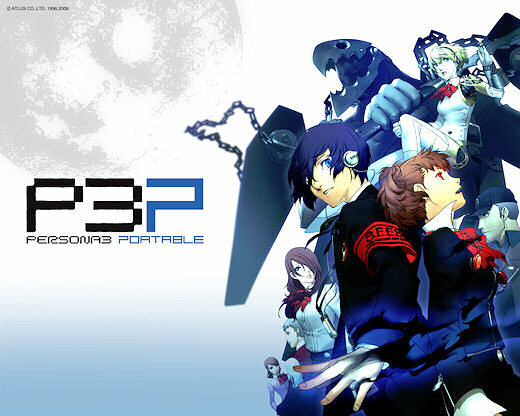 Part of the problem might be that the version I have access to is P3P which is the portable version. There are almost no 3D free roaming parts to the game except in dungeons. It makes the whole world feel a more flat and makes it harder to connect with the characters since all you see are their anime portraits. After reading up on it, apparently there are other versions out there that are better but they're hard to get a hold of. Anyway, the core concept of the plot is interesting and the gameplay has the core of what I liked about Persona 4 Golden. I bet if I played this game first I would have loved it. But all the little stuff added up to make me rather replay Persona 4 Golden. Or, realistically, probably just wait for Persona 5. I don't want to burn out on the series and I'm super excited for Persona 5 early next year. So... I'm reluctantly putting this one down for now. It's not that I'll never come back to it, but now doesn't feel like the right time. Eventually I might swing back around to it.